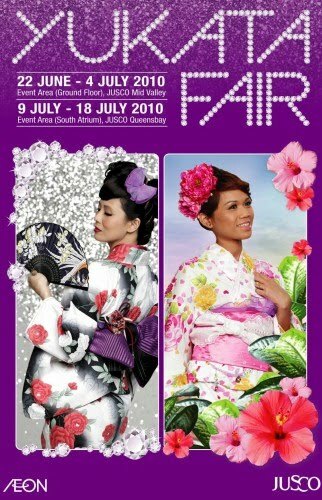 Jusco Queensbay is having a Yukata Fair this July. 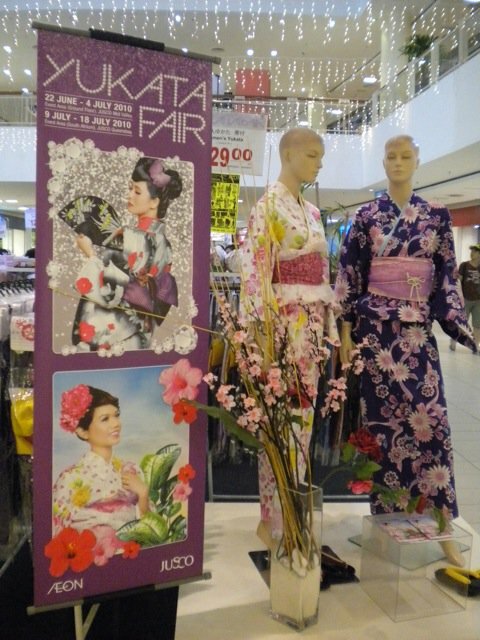 For those who still did not yet their yukata for Bon Odori this year, better get them fast from Jusco. 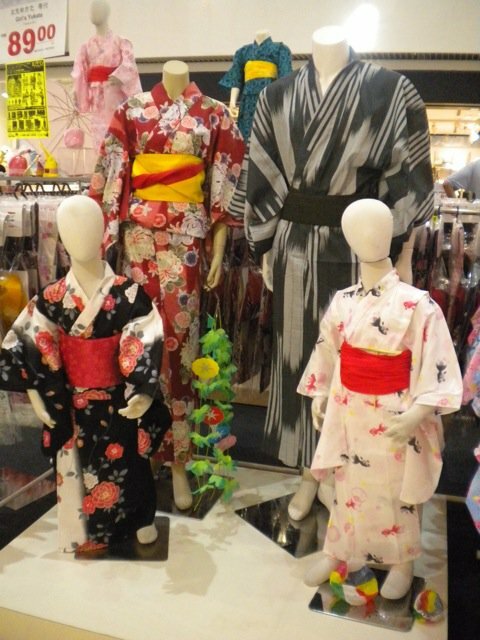 Their price are really decent ~ RM129 for both men and women yukata set, RM20 for geta and RM10 for fan. There are alot more other accessories there as well such as obijime, kinchaku and also hair accessories to complete each set. As me myself have also bought a set for Wendy, which is the last set for that particular design there.. thank God that i found it, or else im gonna stripe the display model.. Anyway, cant wait for Bon Odori next week. It gonna be all about fireworks, food, camwhoring and fun !